The first step entails locating a couple strong rare-earth magnets. 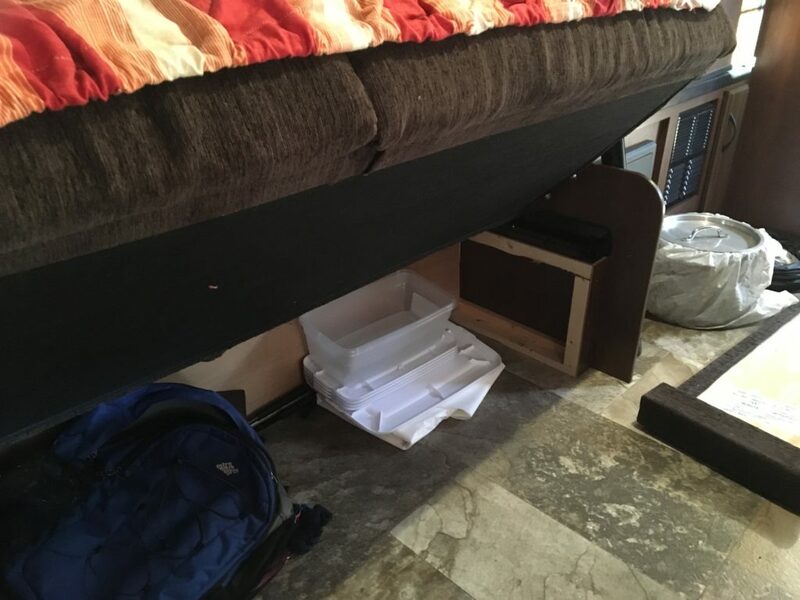 The frame under the couch/bed is steel and as such will attract magnets. I used some salvaged hard-disk magnets which are conveniently glued to mounting plates with screw holes. In lieu of these you could purchase some magnets with a countersunk hole in them such as these: Neodymium Round Base Magnet. Mine were free as there always seems to be a computer or hard disk at the dump. 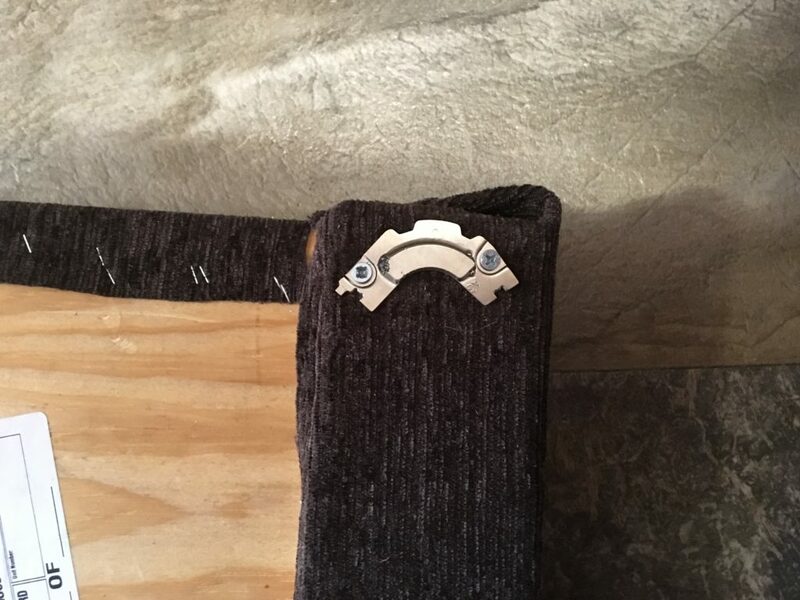 I mounted the magnets (on their convenient brackets) to the skirt where it would touch the steel frame of the couch/bed as below. I used a couple #6×3/4″ screws I had on hand to secure the magnets. Once complete the skirt can be slid back in place and the magnets will hold the skirt in lieu of the two screws removed. These hard disk magnets hold about 20# which is quite strong compared to the standard cabinet magnet which could also be used. In all this mod cost me no money and worked like a charm. 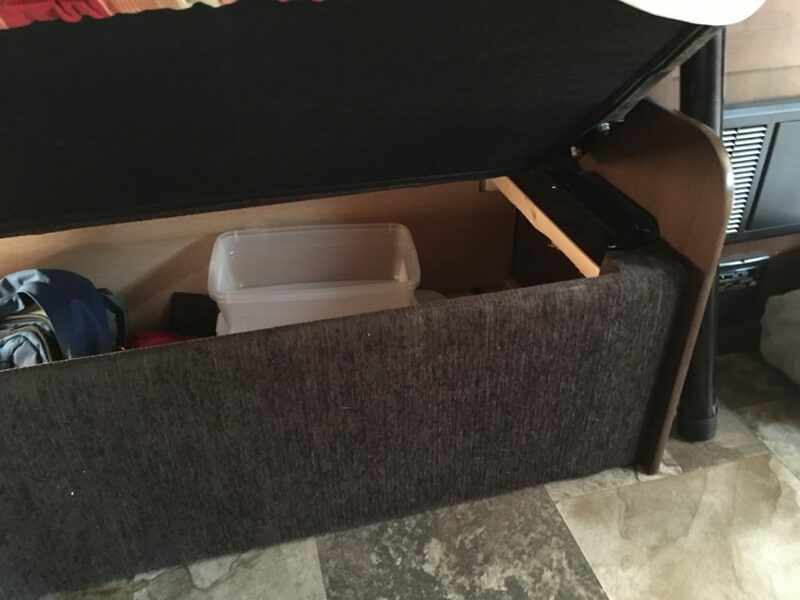 It leaves the camper looking the same as when we started and gives us easier access to the stowage area.